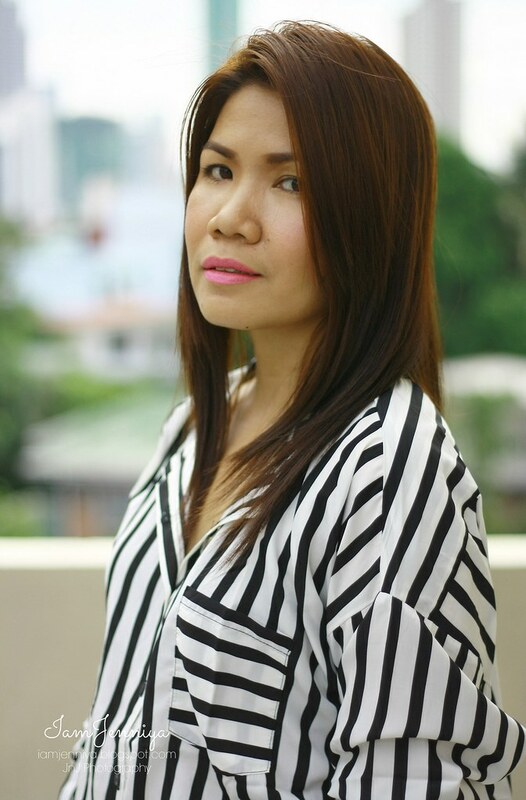 IamJenniya: How to wear vertical stripes? How to wear vertical stripes? 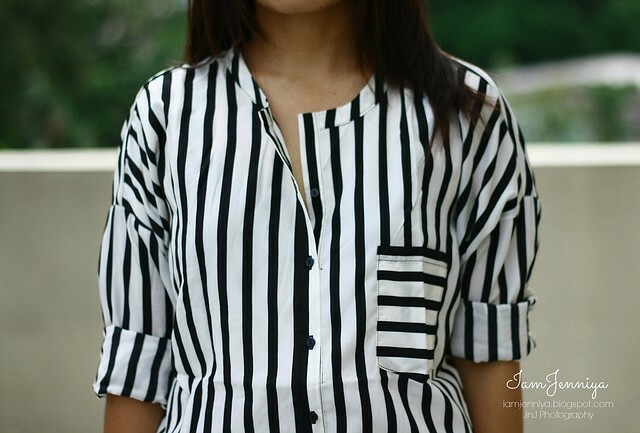 Along with the blue stripes shirt Zaful sent me, I also got this classic vertical stripes with pocket blouse. Hmm.. I am really into stripes. Haha! I already gave tips on wearing horizontal stripes, so now allow me to give tips again on how to wear vertical stripes. Who wants to look thinner; just raise your hands-up! The key to wearing stripes is to pair it with a solid color. It is not overwhelming; you'll surely in a safe side on that. Some are mixing stripes with other prints like floral. Well, this is kind of risky to pull but hey, good luck! Moving on, look at my shirt, a vertically white & black stripe looks great with white or black pants. I chose to pair it with my favorite black jeggings since the purpose is to look thinner; black is always a savior when that dilemma attacks. And if you're sporting a striped skirt or pants, then wear a solid-colored tee; as simple as that. Another tip is go for a V-neck shirt/ blouse. It creates an illusion of longer neck, thus your body will look elongated. This vertical stripes blouse is a round neck but I fold an inch of the collar hem so I created a V-neckline as seen on the pictures. This blouse is bigger than I expected. When I ordered a medium size, Zaful emailed me that medium is out of stock, so I picked size small instead. When the item finally arrived, I was surprised how big this blouse is. It's a blessing in disguise that my size was out of stock or else I'll just wear it when I sleep like a PJ. Lol! I think the design of this is intended to be very loose. I can wear it as long sleeve or a quarter rolled up sleeves. By the way, have you gone shopping at Zaful yet? You look gorgeous!!! I love the way you have styled that shirt! I want to look thin too. Will follow uour tips.. Jeggins with vertical strip.. I love my black jeggings too..
Oh im loving this monochrome look. Love the vertical stripes and the juxtaposition of the horizontal ones on the pocket. Amazing shoes, too! It is so lovely! Great Look! Superb outfit love these colors. This shirt (and those stripes) looks amazing on you! I nearly bought a shirt like this myself recently but decided that I had too many striped items- but you are making me reconsider that decision haha! The stripes both ways on the top is so cool and you look just so lovely with that smile. And thank you so much for those shots from behind, dear. I am not a big fan of pants but those 2 shots may make me reconsider :) Wow! I love your outfit and the bag is WOW!! Great idea to wear stripes in this way! Wonderful, Beautiful pink lips, Lovely black and white striped top. Looking like a Vogue Model! 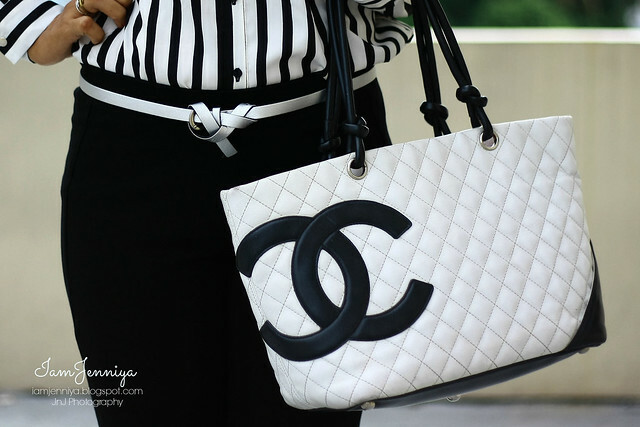 I love this look...super chic!